On the surface, Medicina seems like a lost album from The Caretaker, until one considers its pedigree. These old records didn’t come from the 20s and 30s, but the 60s and 70s. They represent a loving reclamation of a maligned form of music: as Alex Alarcón (Sustainer) puts it, “muzak, light music, easy listening, elevator music, or whatever they like to call it”. Wait a minute ~ these sounds were good? In the hands of Barcelona’s Sustainer, they are. Context is important. For Alarcón, records like these, played by his parents, were some of his first musical sounds. We never forget our first love. As a child, what do we know about taste, or kitsch, or the dismissal of forms? 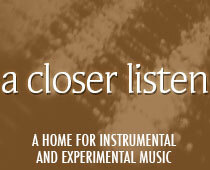 The purpose of this brand of music was to be unobtrusive, the tone introverted, inspiring the term “aural wallpaper”. In order to create it, musicians had to fight against an urge to be noticed. Yet as dull or cheesy as one might consider this sub-genre, it did possess a certain off-kilter beauty. This wasn’t the way music was supposed to sound. The otherworldly nature of Medicina highlights the feeling that something in the music is out of vibration with the rest of nature. These loops, every one of them beautiful in their current context (making one curious about their original sources), approach like mist from distant shores, visible yet intangible. They seem like the fulfillment of an audiophile’s childhood dream: taking the best parts from otherwise unimpressive songs and using them to form a collage. While such techniques are often used in hip-hop, they are meant more to highlight the samples than to liberate them from unflattering settings. And in this instance, the majority of the loops are orchestral. Alarcón uses field recordings, as well as light touches of original music, to flesh out the compositions: footsteps, distant drums, and of course, an elevator. The difference is that this is the rare sort of music that would make one want to stay in an elevator instead of racing through the doors as it opens.